In spite of technical advancement, every day more pixels are added to the retina of an digital image capture (camera), still photos loses its charm and there is a huge difference comes between when we click the photo and the final output. Photos are captured with full details in small range with camera as compared to our eyes view. This case study will give a glimpse of the Actual Photo shoot and the requirement of the Product from the precept of automobile Industry. The work of a Photo Retoucher is to capture and rebuild the image so that it doesn’t losses it’s the brand identity. Photo Retoucher not only has to be creative but he should also understand the requirement of the product and the image of product which he wants to showcase to the end users. Grace of sports car comes with the bold and tough look and its identity. . The raw picture of the car gives one a feeling of dullness and aridity and also the feeling of insipidness. AUDI ‘s Distinction is its Headlamps LED . In raw shoot the LED lights has covered the Headlamp look. The detailing is so fine that the lamps or LED line are clearly visible as well as the whole front light different parts are clearly visible. 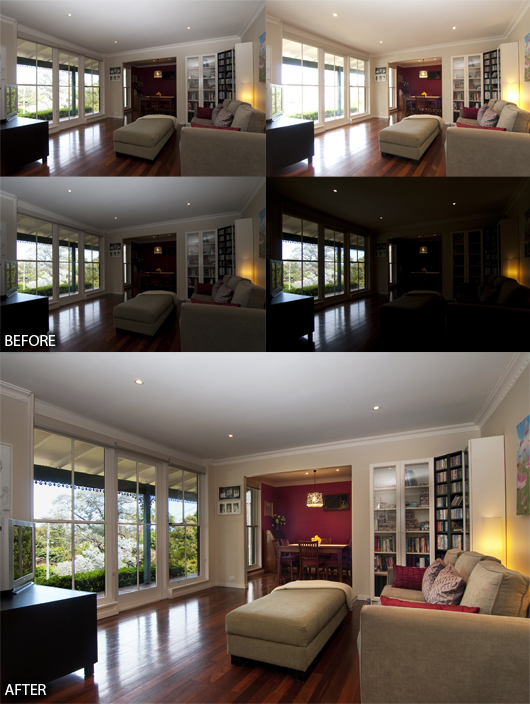 Photo retouching is not only confined to color correction, however, it is much more than that. Photo retouching can also add or subtract an object in accord with your needs. It can even merge two photos in a one photograph. 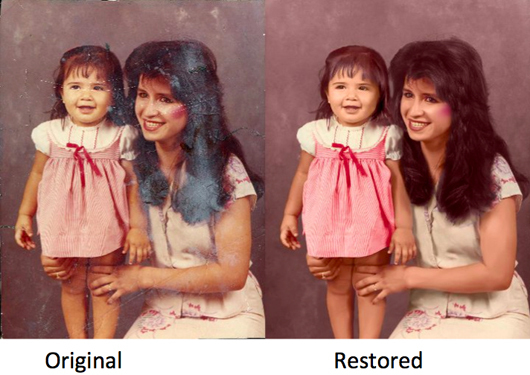 Photo retouching is used to remove unwanted backgrounds as well. A photograph never grows old. You and I change, people change all through the months and years but a photograph always remains the same. Photography keeps the Sweet memories alive and make it the integral part of life . Photographs have a limited life and exposed to many conditions which harm the sweet memories. 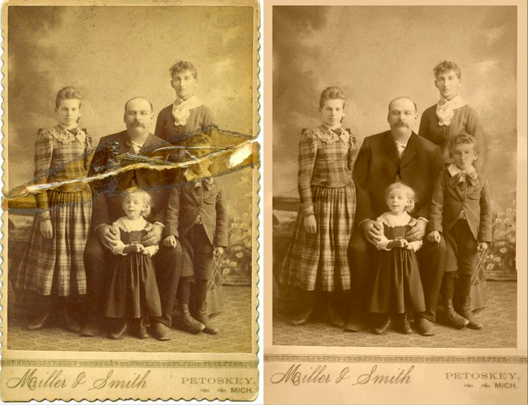 PHOTO RESTORATION is one of way to preserve the old Photographs. Photo Retoucher has to take care of small detailing to reconstruct the distortated photos. The small technicalities not only can bring alive the Photos but it can add the stars to the Retoucher . In Original Photograph the Gloss paper is used which has lost its lamination over a period of time resulted an extra unwanted shining on the hair of the lady. There is lot of scratches on the photograph as well . The Challenging task in this photograph is to restructure the face of the small boy right hand side. It is been totally destructed. There are three aspects in this photograph i.e. 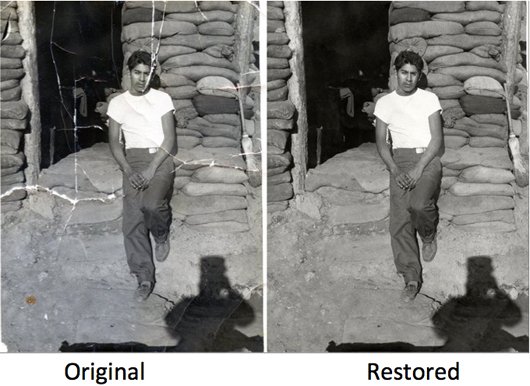 Photo Restoration is a very challenging task as the Retoucher has to reconstruct the photograph keeping in mind the originality, texture and other minute detailing of photograph. Architectural or Real Estate Retouch is meant for individuals who wanted to showcase their property with premium look and best results, Alot of Photographers and Property owners are not happy with the way their images are being published around the world, so here Manpreet Ahuja Visual Solutions help them to get the maximum results after their shoot done, We closely work with Photographer while they shoot the location and property, we ask them to shoot the Multiple stop images which we can stitch as per our technical need based on perfect light and shadow, I am going to Demonstrate you a example where you can clearly see the Multiple stop images in BEFORE section and final finished image in AFTER section, our Technicians make sure that client gets the full of detail and Lighting balanced image after our Retouch .